The search for young Dumbledore has ended. 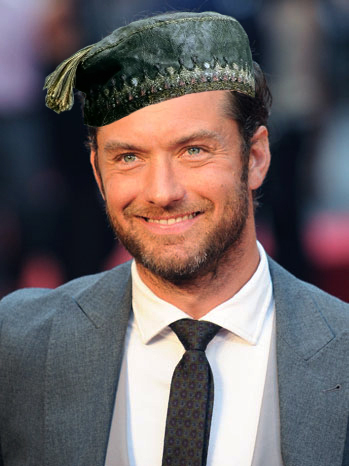 Actor Jude Law (The Talented Mr. Ripley, Contagion, Sherlock Holmes, The Grand Budapest Hotel) will portray the transfiguration teacher turned Hogwarts headmaster in the Fantastic Beasts and Where to Find Them sequels. In the second Fantastic Beasts film, Dumbledore is a transfiguration teacher at Hogwarts. The film will follow Albus’ story and his rivalry with dark wizard Gellert Grindelwald (portrayed by Johnny Depp). Eddie Redmayne will return as Newt Scamander, and both J.K. Rowling and David Yates will reprise their roles as screenwriter and director, respectively. Albus Dumbledore was portrayed by Richard Harris in the first two Harry Potter films, and replaced by Michael Gambon after Harris’ passing in 2002. Harris’ son Jared was rumoured to be in consideration for the role of young Dumbledore. The second Fantastic Beasts film (still untitled) will be released next year.